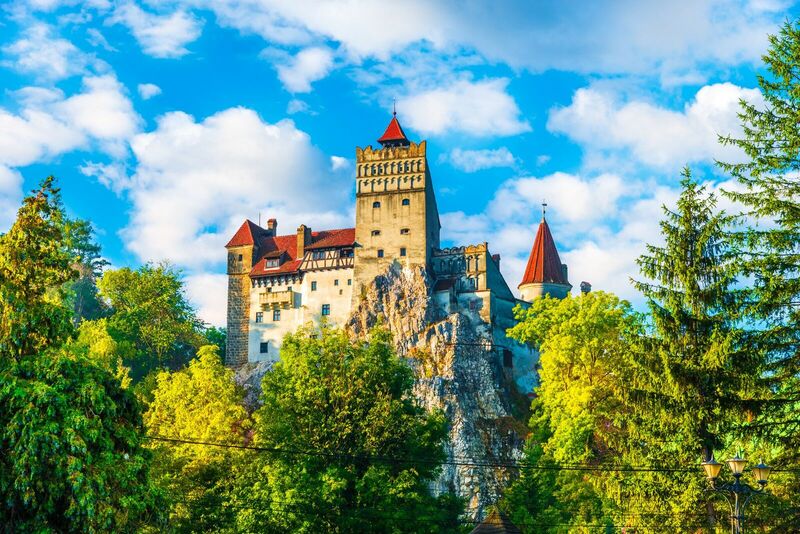 Discover the natural beauty and cultural richness of Transylvania on this 8 days tour. We start in Bucharest and continue towards the Southern Carpathian Mountains, where we will also hike and reach an altitude of over 2000 meters. 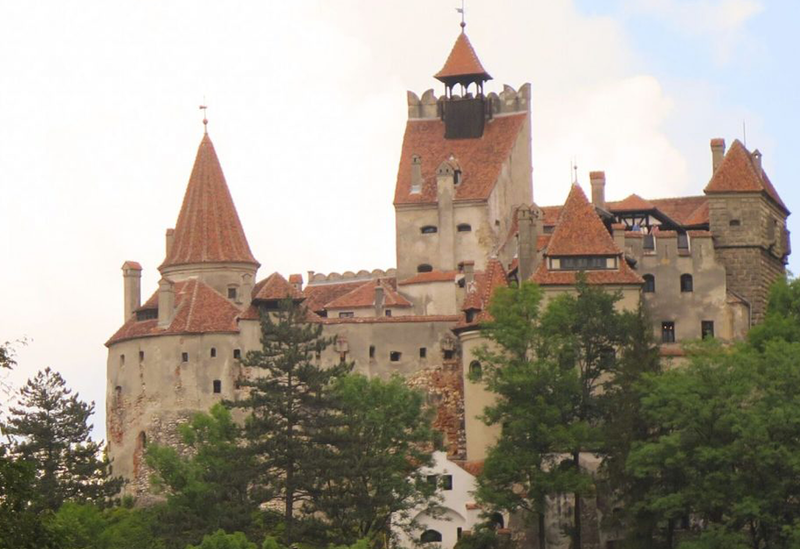 Dracula castle and the bear sanctuary in Zarnesti will further be two of the highlights on this tour. 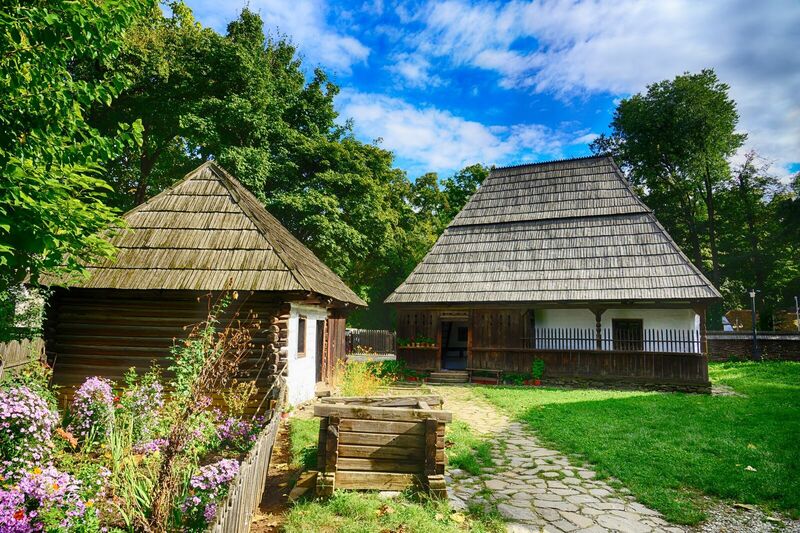 The tour will take us then to the Saxon lands, that part of Transylvania where German settlers came in the 12th century. We will hike over hills and through forests and visit beautiful medieval villages, like Viscri and Biertan. 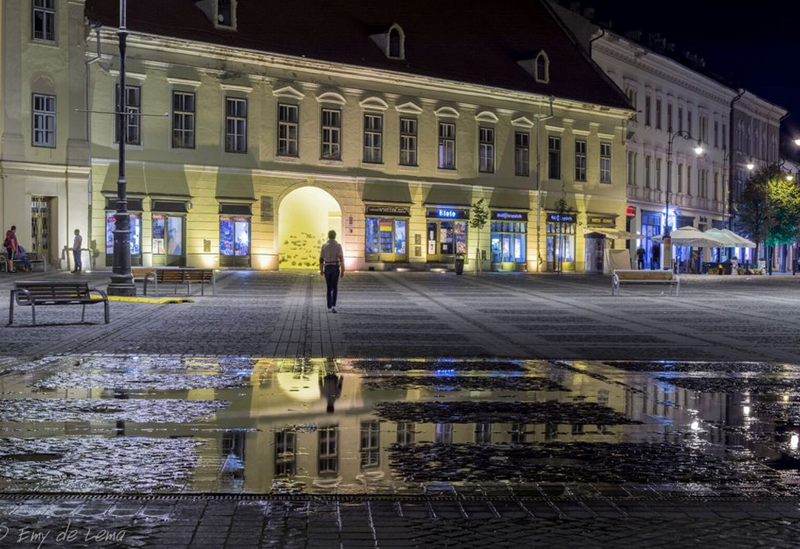 Sibiu, the Cultural Capital of Europe in 2007 awaits us as well. 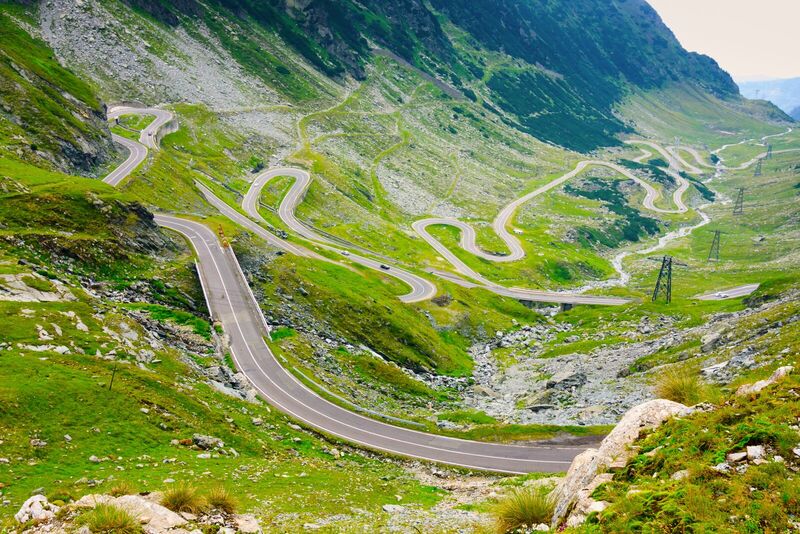 Over the spectacular Transfagarasan Road, we will drive then back to Bucharest, not before hiking in the highest mountains of Romania, the Fagaras mountains. Upon arrival at Bucharest’s Henri Conda Airport, you will be meet by your tour guide. 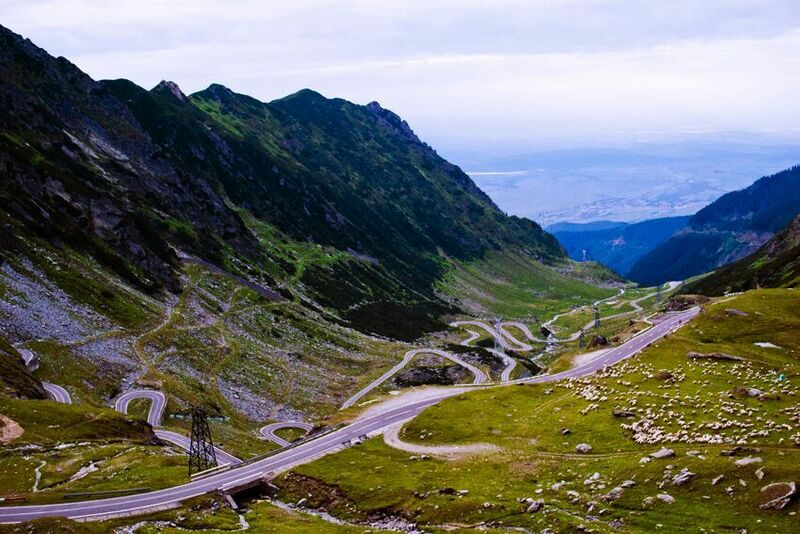 We will drive further to Sinaia, at the foot of the Bucegi mountains, at an altitude of around 800 meters. 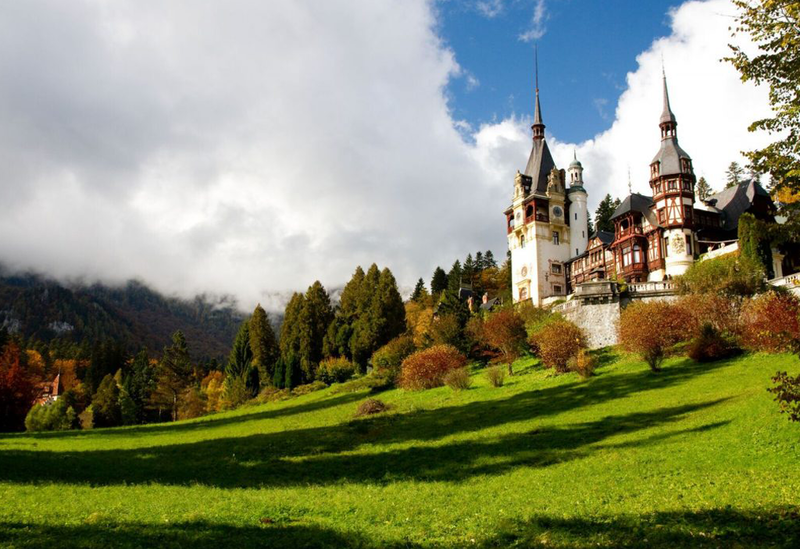 Depending on arrival time, we will have a walk through Sinaia in the late afternoon. Dinner and accommodation at a family-run guesthouse. 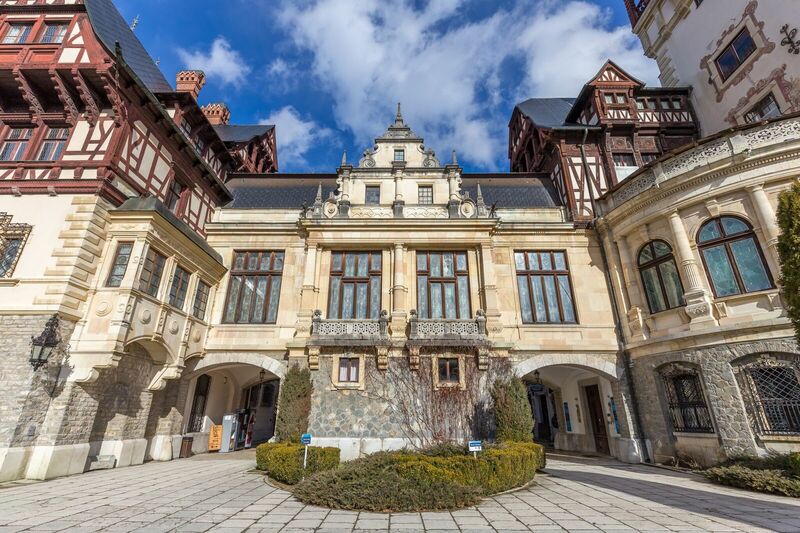 After breakfast, we will the impressive Peles castle in Sinaia, the former summer residence of the Romanian royal family, the Hohenzollern family. 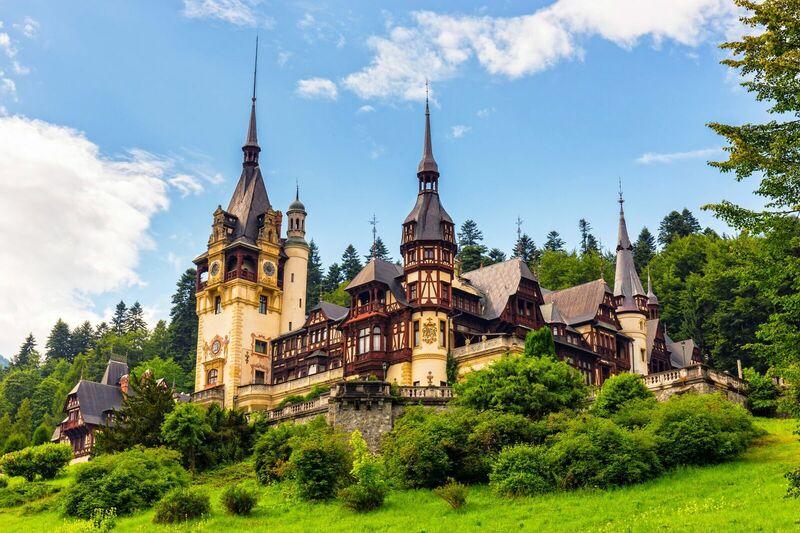 The first Romanian king Carol I built the castle at the end of the 19th century in German Renaissance style. After the visit, we will take the cable car up into the mountains and begin our 4-hours hike. En route we could meet also some chamois! On the way, we will enjoy also our picnic-lunch. 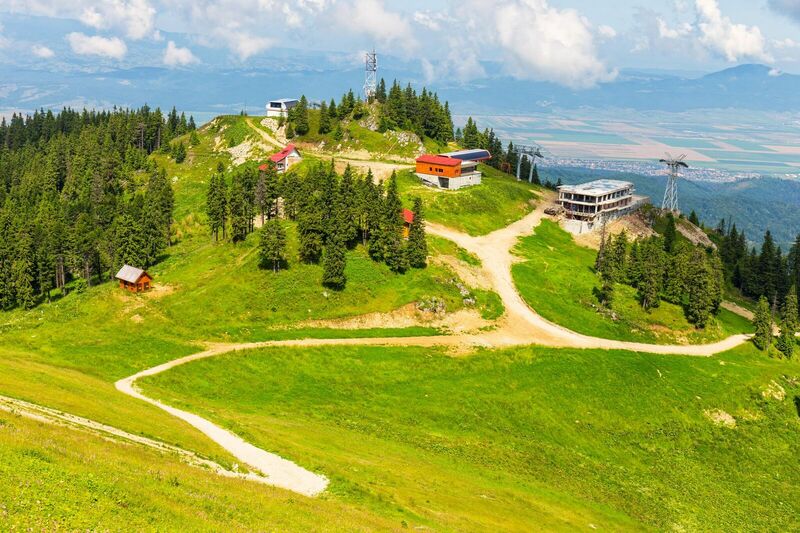 With our minibus, we will then drive further to Magura, a small, remote village in the beautiful Piatra Craiului (King’s Stone) mountains, which lies at an altitude of 1000 meters. From here we enjoy great views over the Bucegi and Piatra Craiului mountains. Dinner and accommodation in Magura at a family-run guesthouse. After a hearty breakfast, we drive shortly to Zarnesti, to visit the unique bear sanctuary Liberty. We will find out more about this great project. The sanctuary is home to more than 70 nears, all of them have been rescued from a cruel life of abuse in captivity In the afternoon we hike over a mountain. Through an idyllic landscape and a beautiful village, we will arrive after 5 hours in Bran. 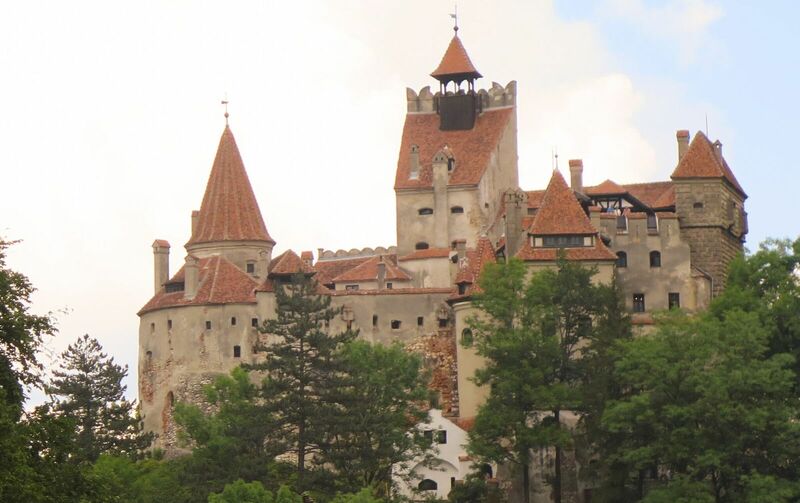 Here we will visit the so-called Dracula castle from the 14th century. Dinner and accommodation in Magura. Breakfast. We will leave Magura in the morning and drive to the city of Brasov. On a short walking, we will discover the city. 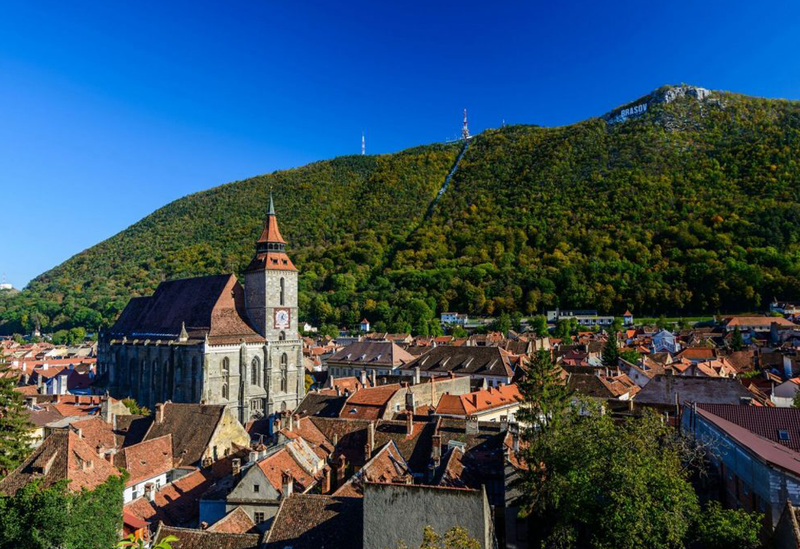 Brasov was founded in the 13th century by the Teutonic Knights. The Old Town impresses with its gorgeous pedestrian area and the big town square. The Black Church ist the biggest Gothic construction between Vienna and Istanbul and houses the largest collection of oriental carpets outside Turkey. 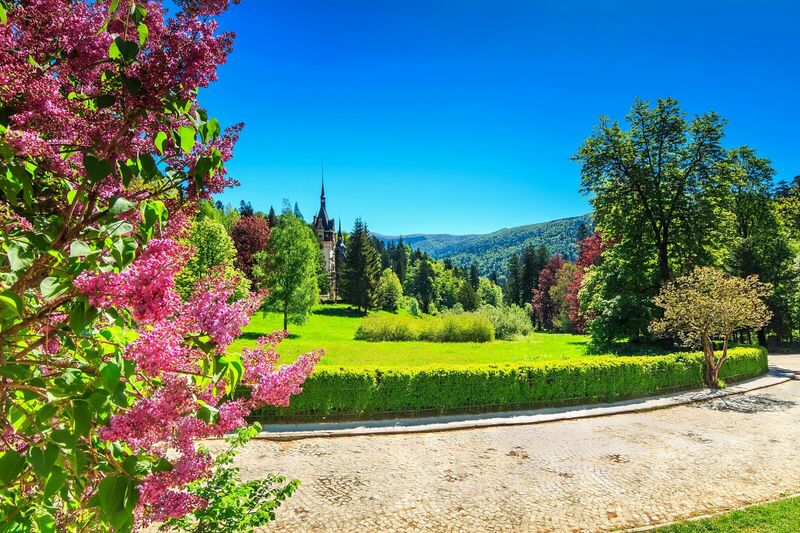 In the afternoon, we will drive further to Viscri, one of the most beautiful Transylvanian villages. 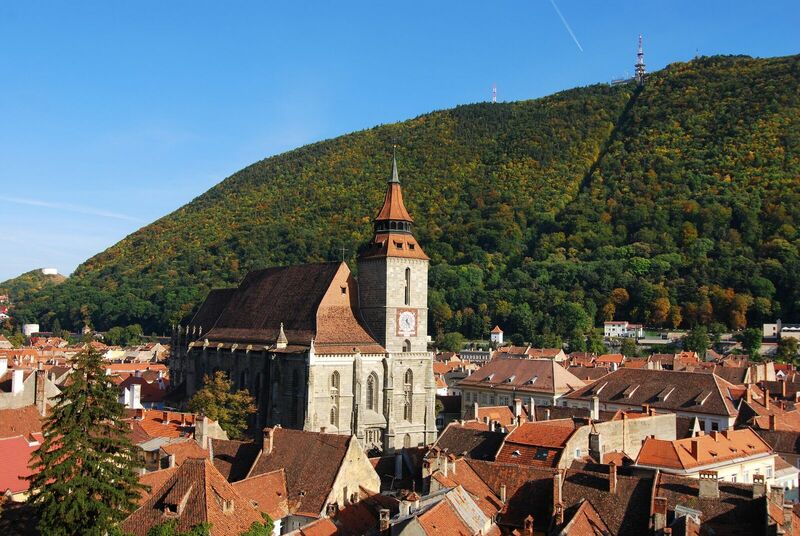 We will visit the impressive fortified church and the workshop of the local ironsmith. After an evening walk on the surrounding hills, we will watch the cow parade. All the cows come back from grazing and find their way alone home. Dinner and accommodation. After breakfast, we will hike across flower meadows and through oak woods to Mesendorf (around 3 hours). 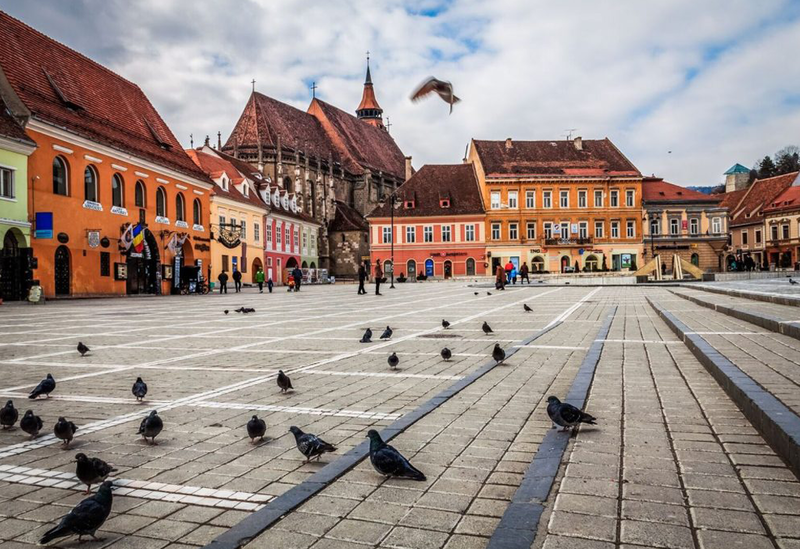 Our minibus takes us then to Sighisoara, one of the last inhabited fortresses of Europe, a UNESCO World Heritage Site. 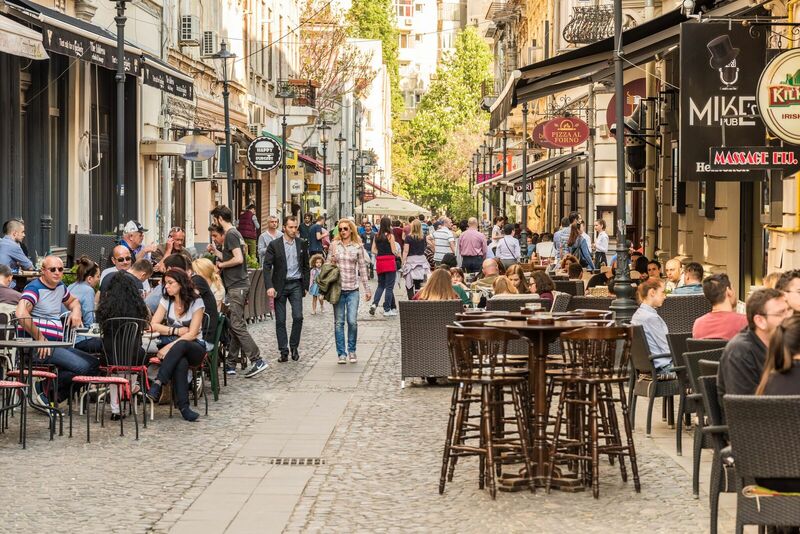 On a walk through the romantic streets, we will find out more about the history of the city. 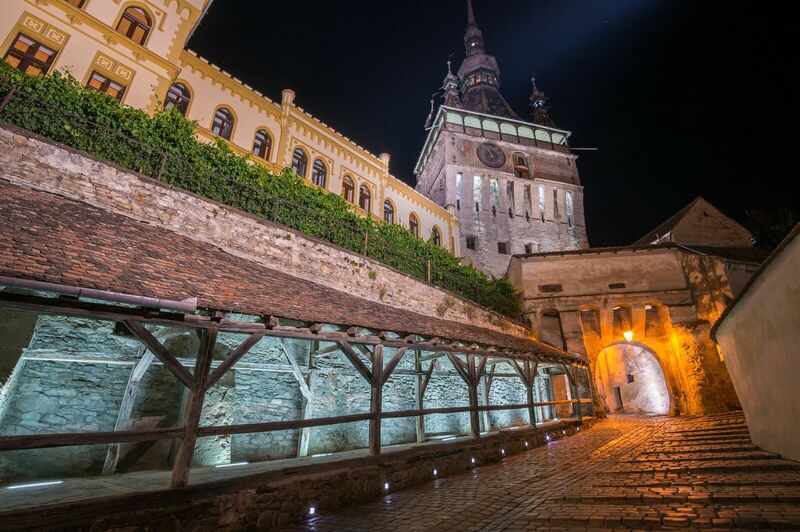 We will see the birth house of Vlad the emperor (Dracula), the Clock Tower and the other different towers, built in the Middle Ages by the city guilds. In the afternoon, we drive to Copsa Mare and hike across the hill to Biertan. The fortified church in Biertan, also a UNESCO World Heritage Site was for almost 300 years the Lutheran Episcopal see. It’s towers and surrounding defence walls remind us of the attacks of the Turkish army. 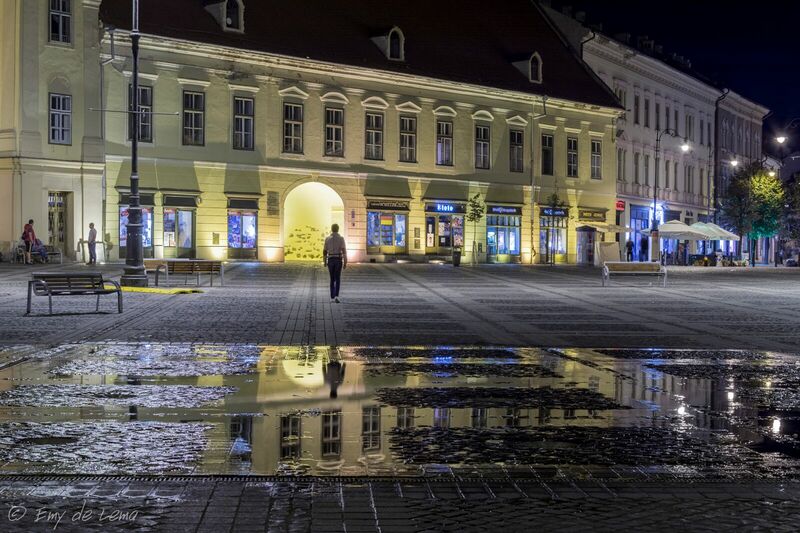 In the evening, we arrive in Sibiu, the Cultural Capital of Europe in 2007. Dinner and accommodation at a family-run guesthouse. After breakfast, we begin to explore the Old Town of Sibiu. 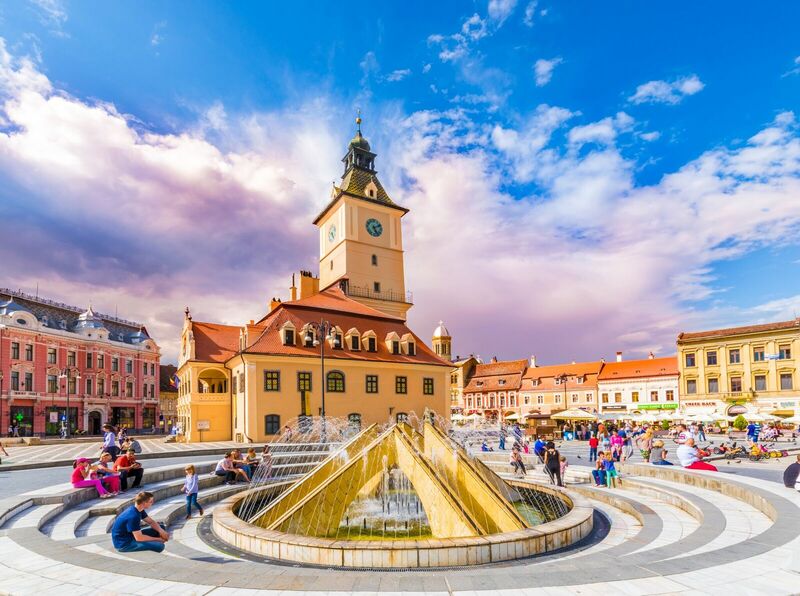 The big marketplace is the largest in Transylvania, surrounded by former residences of the nobility. Here we will see also the 18th century Catholic Church built by Maria Theresia. Our walk takes us then to the small marketplace, where the different guilds of the city used to sell their products. The Liar’s bridge and the Lutheran Church are further landmarks of the city. The afternoon is free, to explore the town on your own. In the evening we are invited to Sibiel, on the countryside, where we will have dinner at a local family. Accommodation in Sibiu. Today we will leave Sibiu and Transylvania and drive to Bucharest. 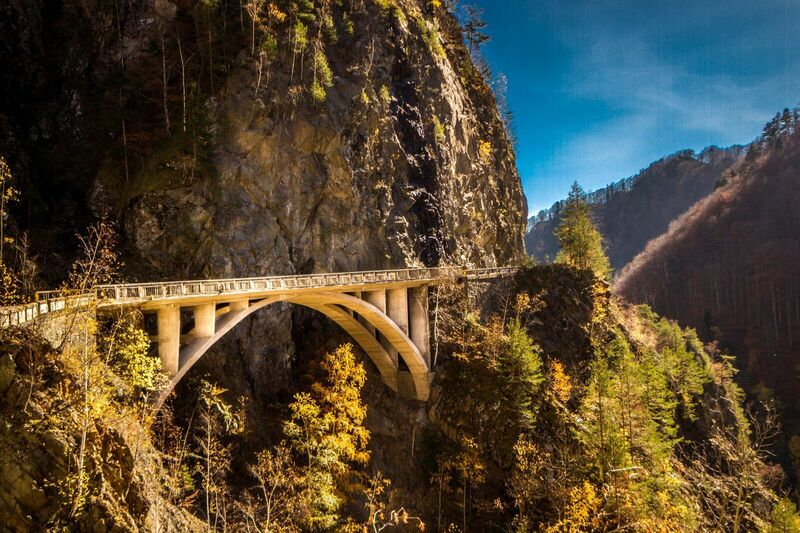 There are several routes to reach the Romanian capital, but the most spectacular one is on the Transfagarasan Road through the Southern Carpathians. 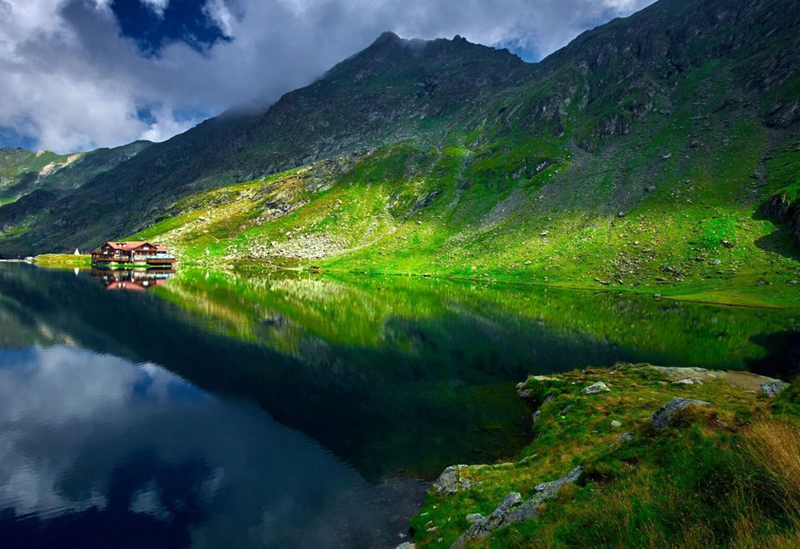 We will drive up to 2000 meters and reach the Balea Lake. From there we will take a 3-hours hike in the mountains. 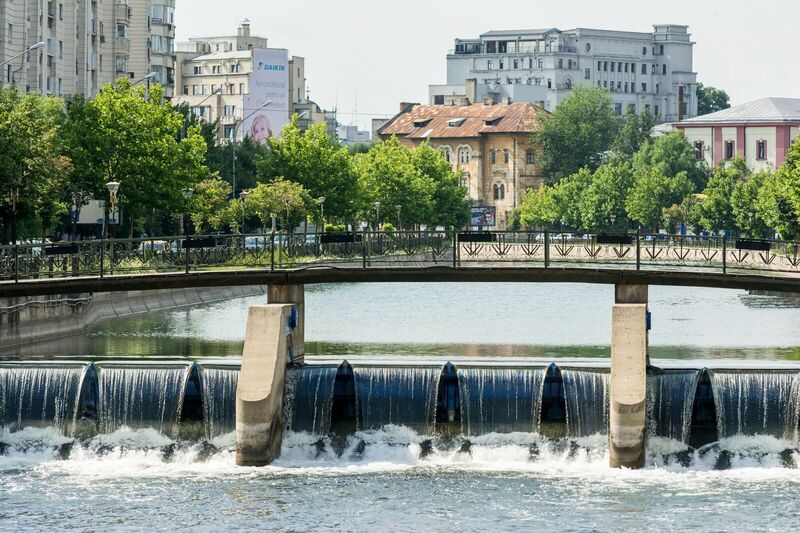 In the afternoon we will drive further to the Vidraru Dam and reach Bucharest. 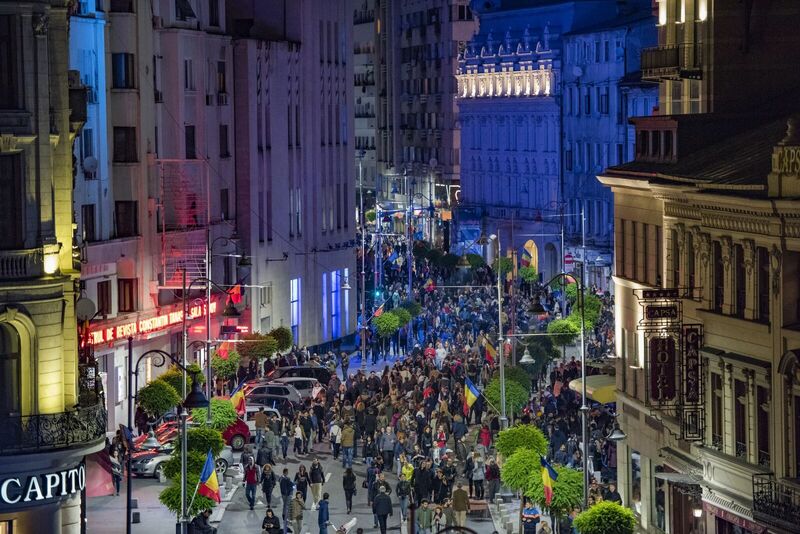 In the evening we will have farewell dinner in the Old Town of Bucharest. Accommodation in a centrally located boutique hotel. After breakfast, we will explore the Romanian capital. 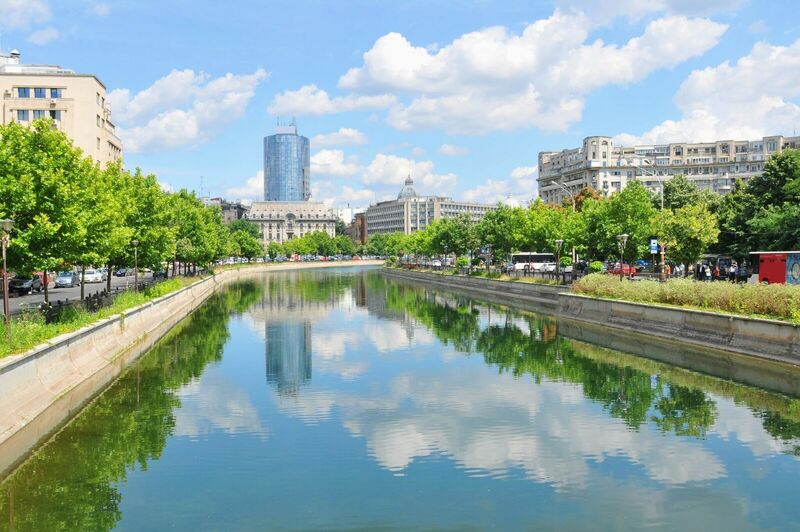 In the time between the two world wars, the city was called the „Paris of the East“. 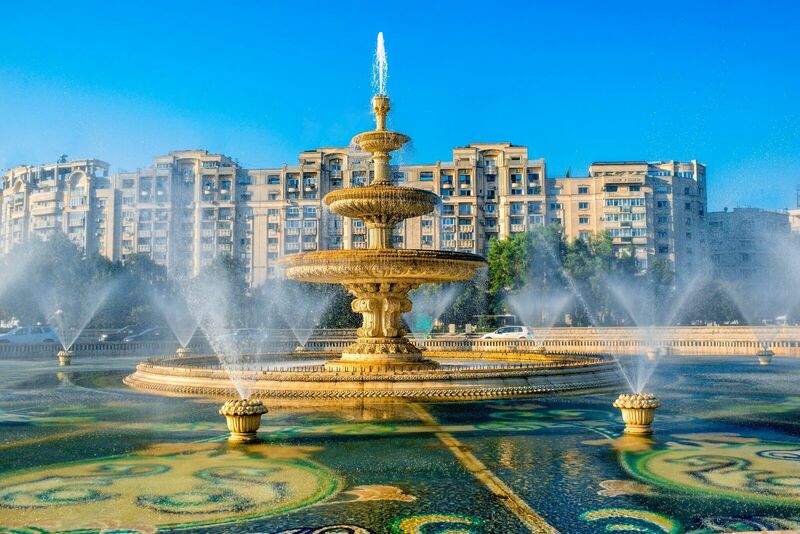 We will discover large boulevards, exquisite Belle Epoque villas, and palaces, but also traces of communism. We visit the Revolution Square and will also see the famous balcony from which the former communist dictator Ceausescu held its last speech. We say farewell to Bucharest and drive to the airport for the flight back home. Goodbye, Romania!